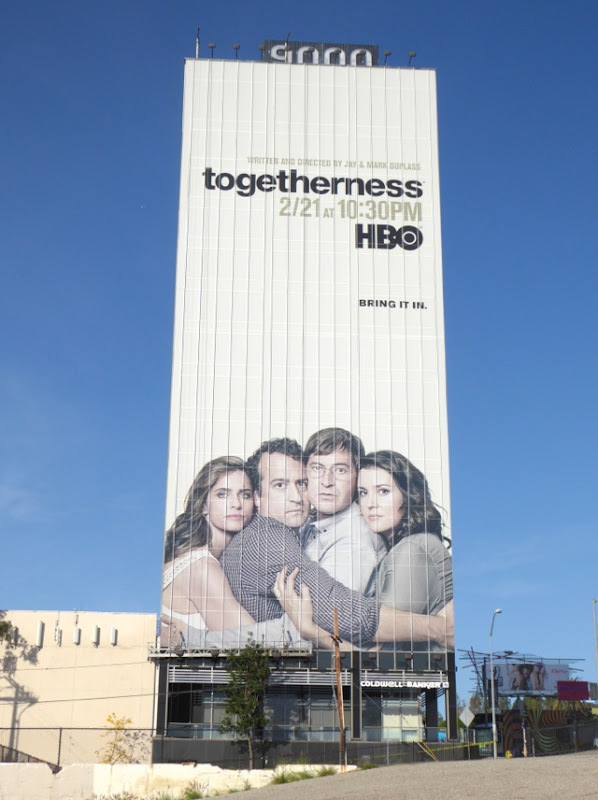 Daily Billboard usually likes to positively shine a spotlight on ad creatives that really stand out in the skies of L.A. for all the right reasons, sadly though on occasion there's some that you just can't help shake your head at too. 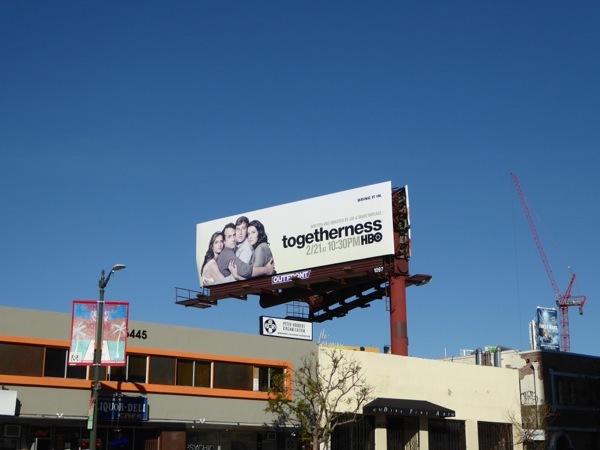 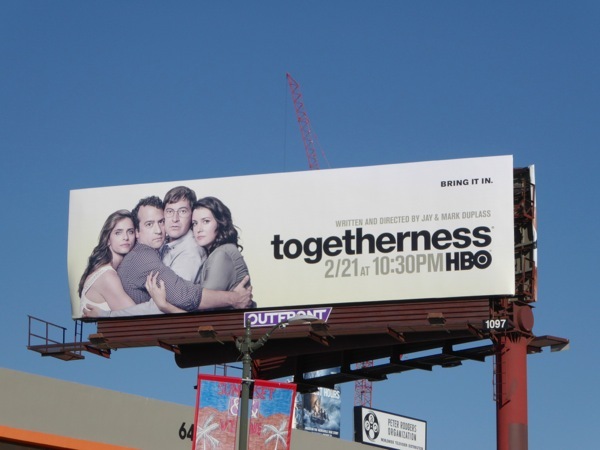 Currently these sophomore season billboards for HBO's Togetherness seem to be blanketing L.A.'s skyline in a state of perpetual doom and gloom, with an insipid, dreary creative that almost makes you want to shoot yourself. 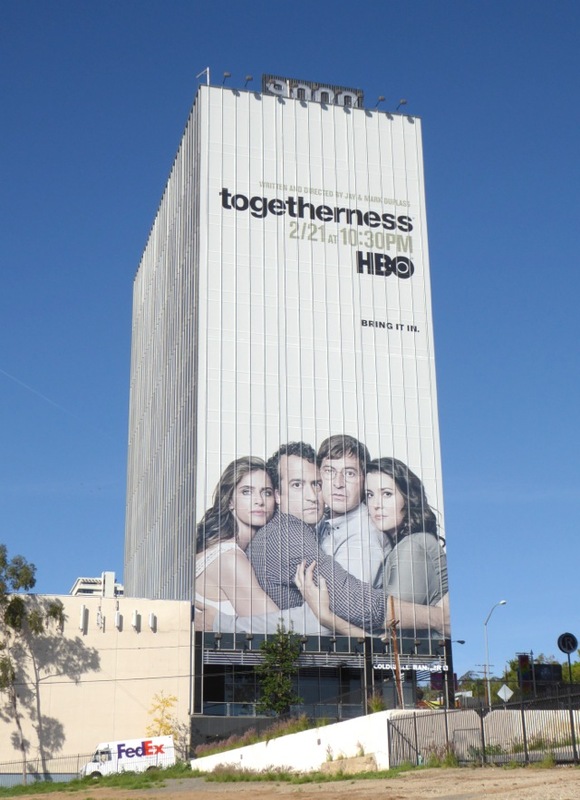 The half hour series from Jay and Mark Duplass may all be about angst-ridden dilemmas of mid-life, from navigating marriage and tricky relationships, to trying to juggle careers and pursing personal goals whilst growing ever older, but does the show have to look so damn miserable. 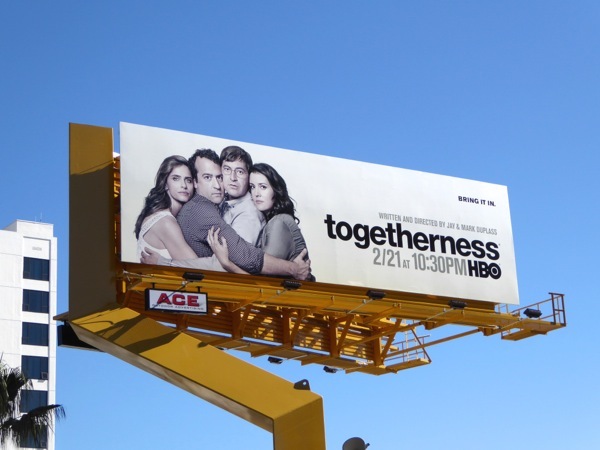 These season two billboards look bland and washed out, especially with that almost sepia yellow background and the grim looks on everyone's faces, and when you compare them to the colourful Togetherness season one billboards, which featured a day at the beach, you can see why these seem dull and boring in contrast. 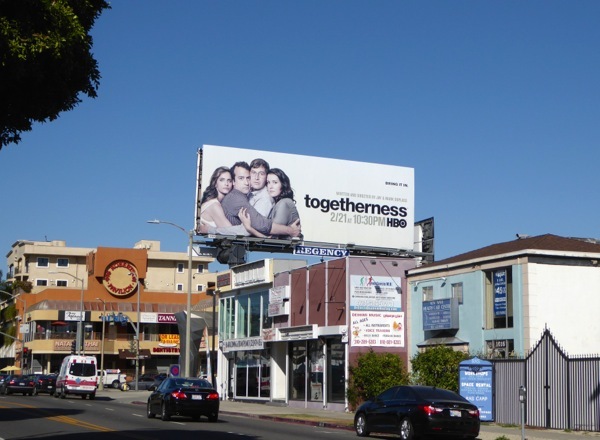 These landscape billboards were first spied along Sunset Boulevard in Hollywood on January 26, plus later along La Cienega Boulevard, Robertson Boulevard and further west along the Sunset Strip. 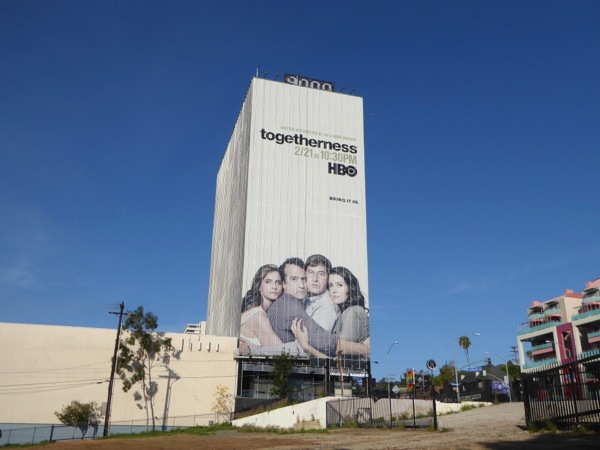 The super-sized billboard was snapped on February 20, 2016, being a giant downer for westbound traffic along Sunset Boulevard in West Hollywood. 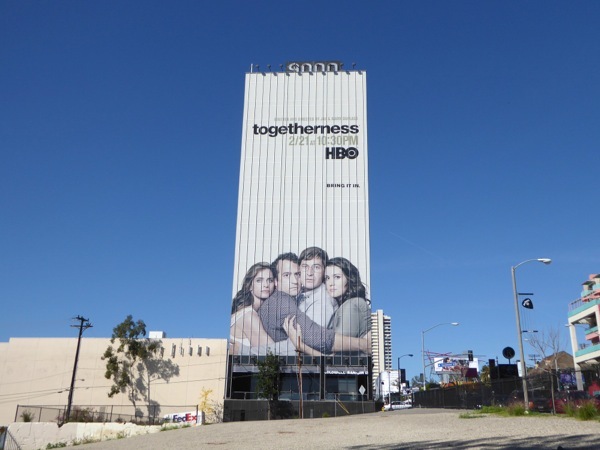 For other shows about people who haven't quite figured out their lives, be sure to also check out these Happyish billboards and Casual billboards. 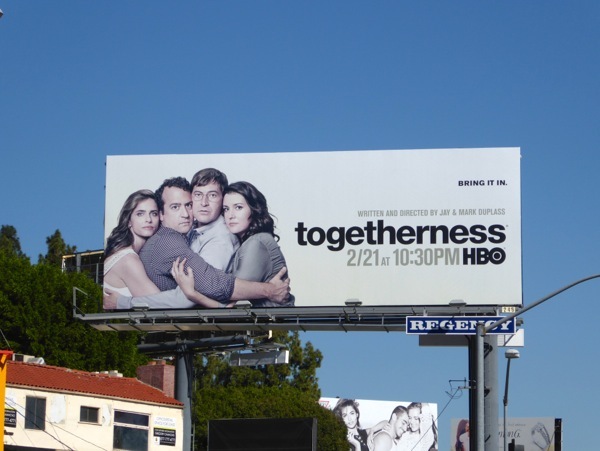 Come on Amanda Peet, Steve Zissis, Mark Duplass and Melanie Lynskey, can't one of you crack a smile and help draw us in. 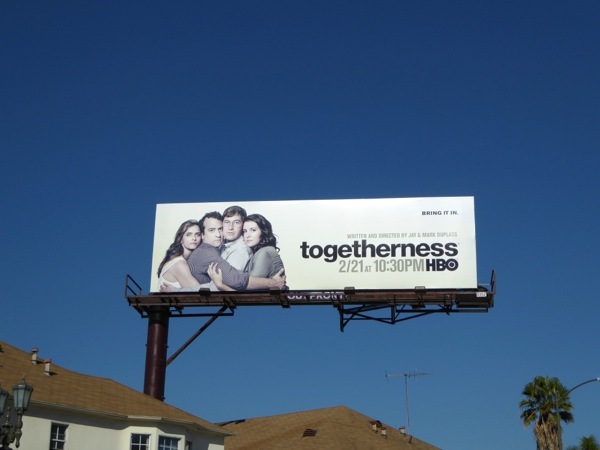 UPDATED: Here's also the giant-sized season two billboard snapped a few days later without the installation cradle at the bottom, but sad to say it's still now growing on us.